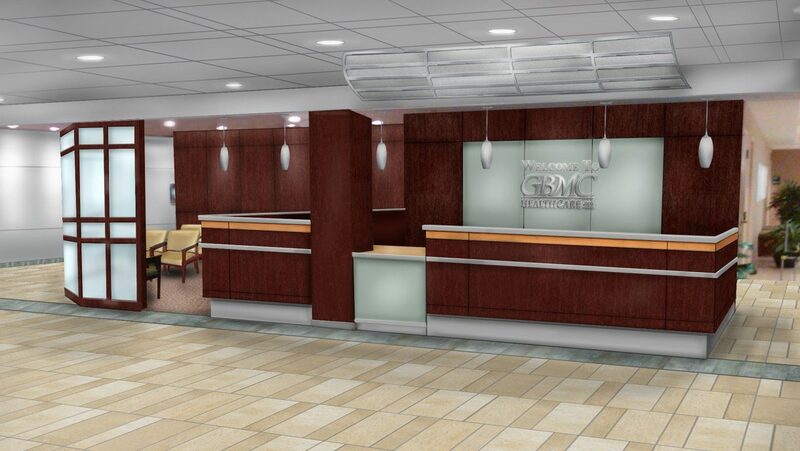 Interior design services for the renovation of the 30,000 SF main lobby, reception / information and waiting areas, and connecting corridors for this 300-bed medical center created a “clean and crisp”, welcoming and well-functioning environment for GBMC patients and visitors. JMT Architecture designed new flooring, wall finishes, ceiling, and lighting design, as well as the new custom wall features for the reception / information area. 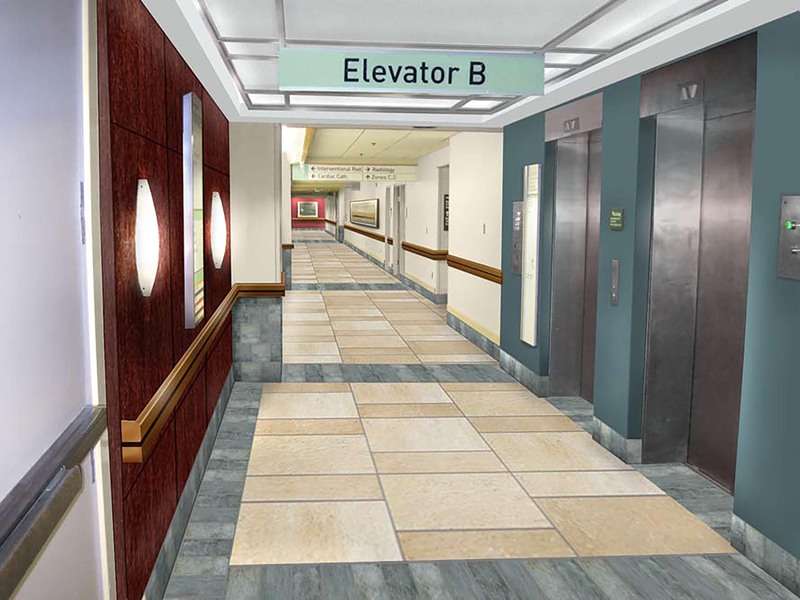 Construction was completed in two phases.